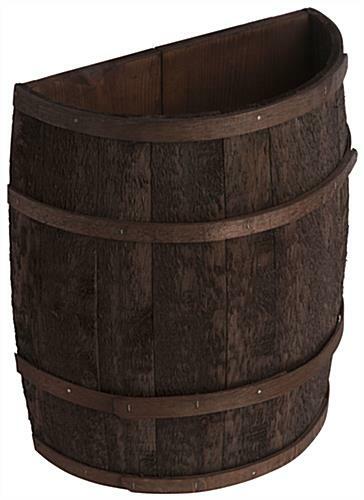 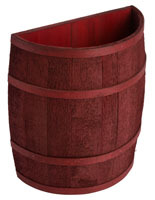 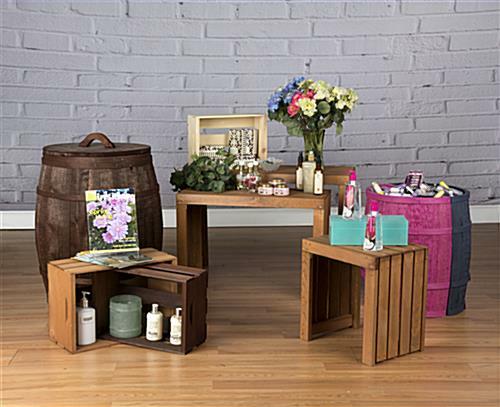 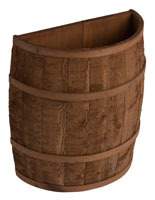 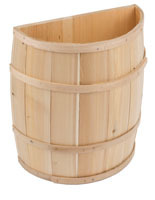 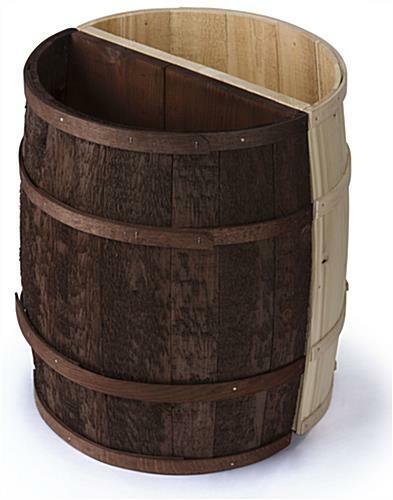 This false bottom half display barrel is made of dark brown stain cedar staves with matching oak bands. 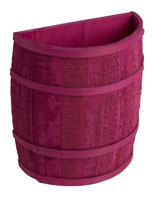 Each 22" tall point of purchase merchandising fixture offers high visibility and classic "country" style in a space-saving against-the-wall design. 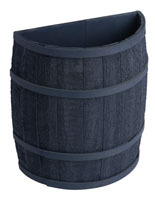 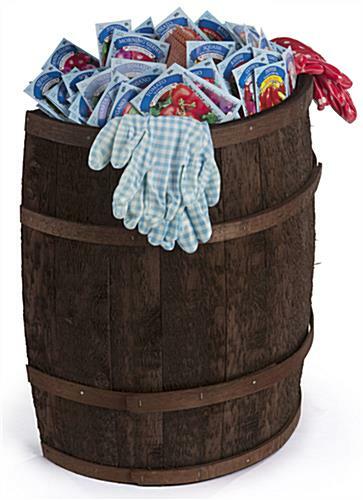 This 6.5" deep half display barrel's top section is ideal for creating eye-catching specialty merchandising, dispensing, or storage in retail, commercial, professional, and hospitality environments. 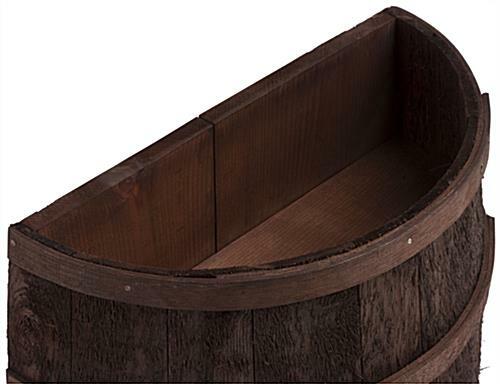 This point of purchase fixture's natural construction and traditional design will match, complement, or provide attention-grabbing contrast with any decor. 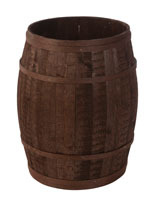 The cedar wood against-the-wall display barrel with dark brown stain can be used with dry, hard, or soft goods as desired. 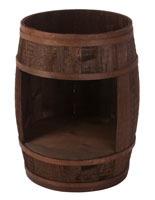 This type of classic country-style fixture is perfect for bulk point of purchase sale goods, specialty merchandise, or to create special feature areas for designated lines or products. 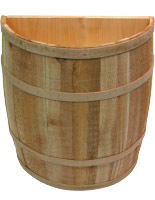 20.0" x 22.0" x 6.6"